Last week I had the privilege meeting Craig Becker the General Manager/Director of Winemaking and Viticulture for Somerston Wines. Craig is one of the founding members of Somerston and his education is in plant physiology, hydrologic science, enology, and viticulture. He oversees all aspects of the business from viticulture, winemaking, sales and marketing, and finance and business development (basically a very busy man and I feel privileged that he took time to meet with me). After speaking with him I could only imagine a beautiful winery with lush vineyards and exquisite lands that I wanted to visit. 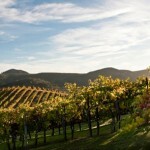 To start off with, Somerston has over 1600+ acres of land and over 200 acres in vineyards. The fruit from Somerston has been purchased by some of Napa Valleys most renowned winemakers including David Ramey, Heidi Barrett, David Phinny, and etc. Their winemaking facility has many high-tech attributes including new proven technologies like CO2 heat pumps, non-glycol based refrigerants, the first process waste anaerobic bio-filter in Napa County, that delivers clean, pH adjusted processed waster with over 90% BOD (biological oxygen demand) removed, and solar power. 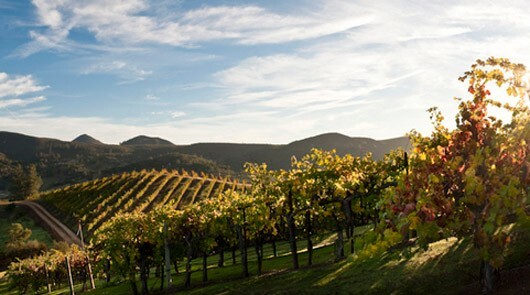 The carbon neutral cooling/ heating and hot water system is one of the first of its kind in use at a winery in the United States.